One thing is for sure. You don’t need to be a Black Metal fan to enjoy this release. I’m talking about the magnificent packaging in which the CD comes. Beautifully designed digibook wraps up this piece of plastic and is loaded with awesome pictures by Opposition Artworks. Credits to Deathhammer Records for having exquisite eyesight to invest extra into this split to make it look like it does. So, even if you’re just a fan of the arts you might as well enjoy what is presented here. “Vortex” is opened by Ophidian Coil, 6 years old Serbian band with just a promo CD and an EP under their belt so far. Their two tracks are recorded back in 2016, so it might not be the freshest material. Still, as this split comes to us in 2019, it has been 4 years since we have heard anything new from the Ophidian Coil camp and these songs do seem to be well-thought and performed to perfection. Well, the line-up is quite experienced so it was to be expected. However, I am a bit disappointed with the production, since the lead guitars should be more upfront. They are skillfully created and if you pay enough attention you can find a lot of beautiful passages in there. But they come through just when it comes to the solos. On the other hand, bass lines are given enough “room to play”. Speaking about the songs themselves, they are quite long but masterfully arranged. Ophidian Coil serves a healthy dose of brutality and aggression, not forgetting about the obligatory atmosphere. Darkness is served by the mentioned lead guitars, supported by the stern screaming vocals and some ritual chants. Down-tuned pounding by the rhythm section only increases the sense of heaviness that wraps up these 16 minutes. This is not your regular easy to digest Black Metal, but stuff made for the connoisseurs. 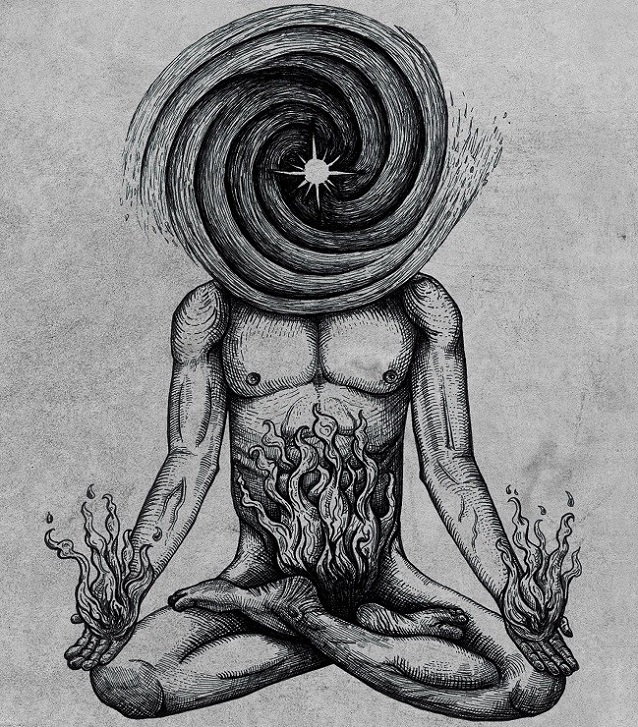 There is simply no easy way to access the depths that Ophidian Coil dwells in. As Black Metal progresses in sound and thought, so the Serbian band stays strong in the said currents. Septuagint is the Greek trio, not much older than their partners on this split, and with similar discography. What is even more interesting is that their songs also date back to 2016 which suggests this split has been long in the making. Still, it was worth it. Greeks display a much more primitive version of Black Metal, laden with cryptic, dark and at times psychedelic atmosphere that fills up their sound where the instrumental minimalism could not. The dissonant tones that guide the musical part of their songs serve as a soundtrack to the invocations in the lyrics. The tracks are arranged so that they are going forward, leading the listener to whatever path is designated by the trio. Creatively (not to mention the production work), they are certainly much poorer than their counterparts on the split, but they fulfil their “duty” with the overall ambience surrounding the music and earn their place on this carefully packaged product. It is a rare opportunity to hold in your hands such a brilliant looking release. And to have the musical content not far behind makes it even more worthy of your attention. If ever there was a reason to dig in your wallet instead of just browsing the internet for the download link, it is here and now! The CD itself is not even that expensive but it is limited. So hurry up before you regret it!